Deanne S. Endy, DO, was named President of the Pennsylvania Osteopathic Family Physicians Society in 2018. She is certified in family medicine, the chief medical officer at the Harrisburg Military Entrance Processing Station and maintains a private family practice in Hummelstown, Pennsylvania. A graduate of Elizabethtown (Pa.) College and a 1986 graduate of the Philadelphia College of Osteopathic Medicine, she completed an internship and family practice residency at Community General Osteopathic Hospital, now PinnacleHealth Community Campus, in Harrisburg. Dr. Endy was awarded the POFPS Family Physician of the Year Award in 2011. She is a member of the Pennsylvania Osteopathic Medical Association, the American Osteopathic Association and the American College of Osteopathic Family Physicians. 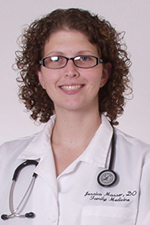 Jessica L. Masser, DO of Johnstown, Pa. is board certified in family medicine and osteopathic manipulative treatment (OMT). She is the Assistant Director of the Family Medicine Residency at Duke Life Point, Conemaugh Physician Group in Johnstown. Dr. Masser obtained her Masters in Medical Education from the Lake Erie College of Ostopathic Medicine, her DO degree from Philadelphia College of Osteopathic Medicine (PCOM) and a Masters in Biomedical Sciences from PCOM. In addition to being a member of the POFPS Board of Directors, Dr. Masser is on the POMA Committee on Professional Guidance/Young Physicians, the POMA Family Medicine committe and the POMA House of Delegates as well as the POMA District VIII Education Committee and Treasurer. She is also on the ACOFP Examination and Evaluation Committee. 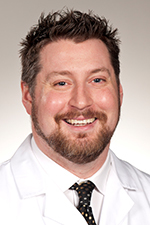 Peter F. Bidey, DO, MSEd, is an assistant professor of family medicine at the Philadelphia College of Osteopathic Medicine (PCOM) and medical director of the PCOM City Avenue Healthcare Center. He is also director of the family medicine residency program at Suburban Community Hospital in East Norriton. Board certified in family medicine and osteopathic manipulative medicine, Dr. Bidey is a graduate of Duquesne University in Pittsburgh, and a 2008 graduate of PCOM. He completed an internship and family medicine residency at Mercy Suburban Hospital in Norristown, Pennsylvania, and a training in policy studies fellowship at the New York Institute of Technology in Old Westbury. He is also a member of the Pennsylvania Osteopathic Medical Association, the American Osteopathic Association and the American College of Osteopathic Family Physicians. Richard A. Ortoski, DO, FACOFP, AAHIVS, is board certified in family medicine with certificates of added qualification in adolescent and young adult medicine. Dr. Ortoski is regional dean, chair of the primary care education department and a clinical professor of family medicine and human sexuality at the Lake Erie College of Osteopathic Medicine (LECOM). He is also clinical director of the LECOM Primary Care Scholars Pathway and faculty advisor for the LECOM Chapter of the American College of Osteopathic Family Physicians (ACOFP). A certified HIV specialist, he also serves as the HIV medical director of the Northwest Pennsylvania Rural AIDS Alliance and is chairman of the Erie County Board of Health. 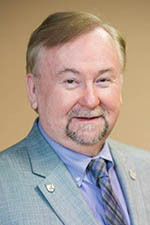 A graduate of Allegheny College in Meadville, Pennsylvania, and a 1984 graduate of the Philadelphia College of Osteopathic Medicine, Dr. Ortoski completed his postgraduate training at Flint (Mich.) Osteopathic Hospital. A fellow of the ACOFP, Dr. Ortoski was awarded the POFPS Frederick J. Solomon, DO, Award of Merit in 2004 and the POFPS Family Physician of the Year Award in 2013. He is a member of the Pennsylvania Osteopathic Medical Association, the American Osteopathic Association and the Society of Teachers of Family Medicine. 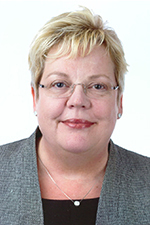 Diana M. Ewert, MPA, CAE, is the chief executive officer of the Pennsylvania Osteopathic Medical Association (POMA). 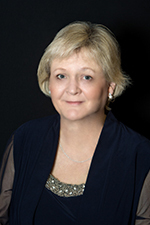 A graduate of the University of Missouri - Kansas City, Ms. Ewert holds a bachelor’s degree in liberal arts and master’s degree in public administration with nonprofit management emphasis. She earned the designation of Certified Association Executive (CAE) in 1999. She has authored several articles on association management, as well as facilitated strategic planning and conducted a number of educational programs with nonprofit organizations. Ms. Ewert previously served as the Vice President of Affiliate Affairs for the American Osteopathic Association in Chicago, Illinois. She also served as senior manager of state government relations for the American Academy of Family Physicians in Washington, DC, and executive director of the Missouri Academy of Family Physicians in Jefferson City. In addition to serving on the POMA Board, Ms. Ewert also serves as Executive Director of the Pennsylvania Osteopathic Family Physicians Society Board and CEO of the POMA Foundation.